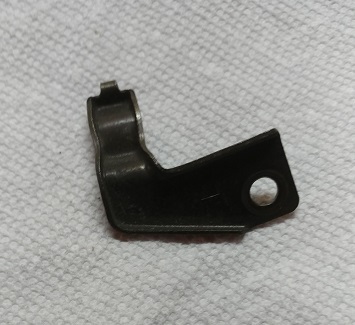 Steve Saunders Goldwing Forums > Forums > Goldwing Technical Forum > What part is this? Had the top cover and dashboard off, so I removed mirrors, windshield adjusters and so forth. 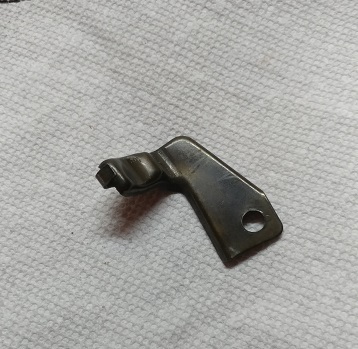 Cannot figure out what this piece is. There's an "L" on the inside of it. I can't find a matching R part on the right side of the bike. cmhbob and limpy45 like this. Ah, that makes sense. I have the front left wheel cover off as well, since I'm going to plasti-dip them. I think I can figure out where it goes. I just didn't want to put everything back together and have to open it up again. THAT BRACKET IS FOR THE BRAKE LINE ON THE FRONT TIRE. It has a "mating piece" that clamps around the rubber hose grommet and bolts on where the top bolt is for the wheel covers. The "mate" to it probably has an "L" on it too because, when mated together, they will only fit on the left side brake line. It gets hidden by the upper "cover" of the fender by the forks. cmhbob, DBohrer and limpy45 like this. Last edited by BLUTHUNDR31; 03-24-2019 at 10:14 PM. Looks like a bracket that holds down a wiring harness.